Trail head: Highway 93 North, 40 km north of Saskatchewan Crossing or 9 km south of the Icefield Center. 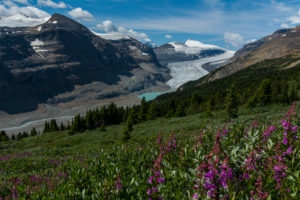 Description: After a series of switchbacks you’ll be rewarded with dramatic views of the Saskatchewan Glacier – headwaters of the Saskatchewan River. One of the most scenic shorter trails.